Gardening is an uncompromising world. If you wish the best results, you have to give 100 percent of your effort. Nothing can be overlooked when it comes to taking care of your plants. 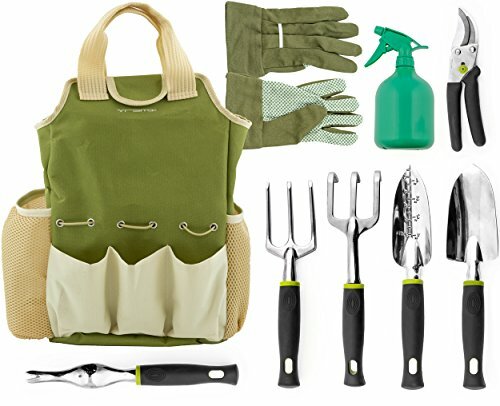 The situation is the same considering the equipment that every gardener uses. Because of vast competition and a huge array of choices, it is sometimes difficult to find your way around, especially if you are not buying things online. Thus, I’m giving you the best loppers which can be bought today. I’ve tried and tested each one, so here are my thoughts on this matter. What Are Loppers In The First Place? How To Know Which Ones Are The Best? Every tree or shrub must be pruned at least once a year. Usually, this is done in spring or summer, depending on which plant you have. The primary cause of this process is to remove young branches which won’t bear fruit but will spend plant’s resources and will lead to stunted growth. Now, most often, garden shears can do the trick. But when it comes to trees, things are not that simple. They are usually much taller, and the ladder will be needed to reach those highest ones. Also, since shears are short, the force which needs to be used is much more significant, which again, requires a lot of effort and muscle work. All of these reasons lead to the development of loppers. This tool looks like hedge shears, regarding length, but the tip is different. 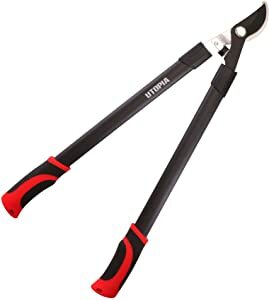 While hedge shears look like scissors, the cutting end of loppers reminds (and in fact are) curved, so that they remind of standard, gardening shears which are used daily. The extended handles are made with one goal in mind; to reduce the force required for cutting. As I usually do with my reviews, I have determined a set of rules which needed to be followed. 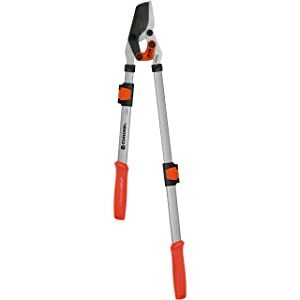 These are not random and are aimed at the essential features of loppers so that I could find out which one is the best. Therefore, here are those rules. Almost nothing is more important than the material of which tools are made. Surely, there are pros and cons of every material, but not each one is usable for every purpose. For example, aluminum is lightweight but is very prone to bending and breaking. On the other hand, steel is durable, but it is heavy. Finding the perfect balance of materials and where they will be used is sometimes tricky for manufacturers. Some of them managed to delight me, while others didn’t live up to expectations. In any case, those materials which are durable and light are considered the best, but the price is often higher because of that. Ages ago, tools were made to be effective, and less attention was paid to being more comfortable to touch. Because of that, working was tiresome, and hands of workers were covered in blisters and cuts. Luckily, the situation about this has changed. Nowadays, many manufacturers are experimenting with different types of materials, to find the best one for this purpose. Different types of rubber have various features, so those which are soft to touch and won’t slip are the best. Whenever cutting of branches is in order, the most crucial matter is so-called “clean cut”. 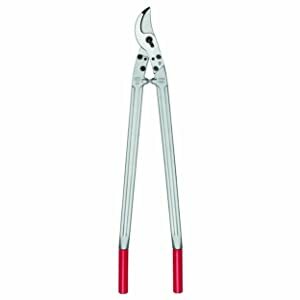 This depends on the sharpness of the lopper as well as on the mechanism which is used to cut. Those loppers which tend to press the branch and make a mess out of it are not good. Instead of clean, neat cut, there will be ruined mass of biomass which is more susceptible to bacteria and infections. The most basic approach when it comes to the cutting mechanism is the one used on scissors. Two long bars joined by one screw. However, those which are including so-called “4-bars” system are the best. They need much less force to cut the branch and are in general more favorable. In spring, when everything is blooming, the majority of pruning is done. Because of the juices which are overflowing, the tools, especially those made for cutting, tend to get dirty. To maintain them, regular cleaning after using is vital. But it is not an easy thing to do. In general, the more parts there is, harder the cleaning is. However, it is not only up to the components, but the material also plays a significant role. Those tools which are featuring anti-sticking coatings are good; simple wash after usage is all that is needed for them to be clean. Since loppers are not bought so often, some people tend to spend too much money on one. Of course, this is not very good approach. Of course, if the loppers are great, buy them, since their serving time will make them rentable. There is a matter of relation between the quality and the product, and that is the only thing which matters. The matter of quality is also influenced by the other features which manufacturer offers. Products which are coming with a warranty are great because, by some rule, the manufacturer believes that the quality is top-notch. Not to delay any further, here are my top loppers available on the market. Even if one is considered as not so good by me, it doesn’t mean that it is bad. On the contrary, being average among top five is a good thing. They are divided into five groups so that each one will fit specific needs. 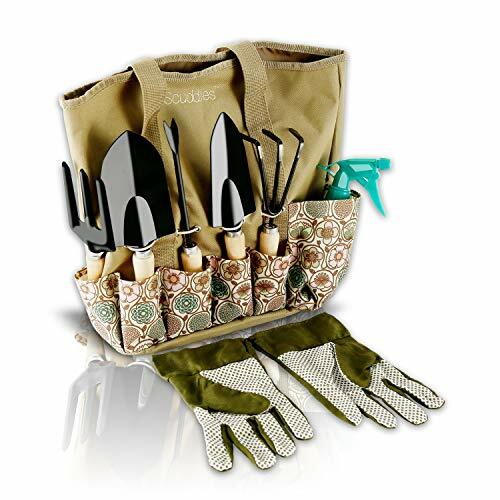 The most apparent quality of these loppers is the material which is used to make them. It is true that the bars are made of aluminum, which is overall considered as weak, but the construction is more than good, so there was no bending noted. The cutting part is made of top-notch quality carbon steel which will remain sharp for quite some time. As for the grips, they are made of amazing, comfortable rubber which will not slip, even if your palms are sweaty (knees weak, arms are heavy). Their length of 30” is more than enough to provide enough force to cut branches up to 1” in diameter. What delighted me the most is its ratcheting system with 4-bar linkage system, which reduces the force needed even further. Since cleaning is made a lot easier by coating on the blades, which makes me wonder, who set the price? I’ve expected it to be much higher, and being as it is surprised me very much. As I said, this is still one great tool, but unfortunately, it is not enough to be placed first. Regarding material, these loppers are overkill, without a doubt. Steel is used to make handles, which makes you sure that no matter how much force you put into, it will not bend. Of course, the blades are curved and sport the same carbon steel variety as the winner. However, that’s where all the similarities stop. The cutting mechanism is absent in this model. No bars, ratchets and other things which are making cutting much more comfortable. If the winner is a laser, this is a club. It relies more on brute strength than on intelligence, and because of that can be troublesome when used by older adults. Shock absorbers are present, but since those are merely pieces of rubber, it didn’t impress me. Grips are good, but I had a feeling that they are way too wide. I have big hands so that I could grab them without much effort, but I wonder how it will be used by someone with smaller hands, such as my wife. Still, these loppers remain the as good choice for thinner branches, and where there is not much force needed. Simple splash with water was enough to clean it, and there was no fuss about it. Also, there was no fuss about the price neither. 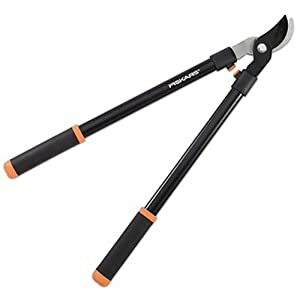 It is very low, so if you have just a few bushes in your yard, these loppers are for you. From time to time, comes a product which just blows my mind. This one is such. Straight from the bat, these loppers are not messing around. The material used to make them is signed “quality”. The handles are made of aluminum, but its construction is excellent. Offering feather-light weight with excellent strength, these won’t bend. Primarily because they are full, and not tubes as is the case with the rest. Blades are made of high-quality carbon steel, and even if there is no 4-bar system, cutting is easy, primarily because of excellent construction. What surprised me the most are the flat-head bolts which are used in order not to make damage on trees while cutting. Handles are well-balanced since grips are just perfect regarding diameter and the material. No slips recorded. The price is high, and to be honest, I consider this model to be among expensive ones. But this is where my rule about quality and price ratio is coming to light. The quality of materials and overall product shines so much that this price is more than appropriate. Some models are aiming at remaining good, with minimal features, as the price remains low as well. This is one such model. Regarding materials used to make loppers, Fiskars opted for cheaper approach, with hardened steel, instead of carbon variety. I believe that this is the primary reason behind such low price. The handles are made of steel and felt somewhat heavy. Still, being made from steel makes them highly resistant to damage from wearing. Since low price dictates it, there is no 4-bar system, but cutting was not so hard, because of that, I believe that this is not a severe oversight. Also, the bars are making things easy, since they fit the hand just right, and will not slip much. In case that something happens, the manufacturer offers a lifetime warranty, so you don’t need to think about it. The price is low, and this is the main advantage of this model since everyone can afford it. 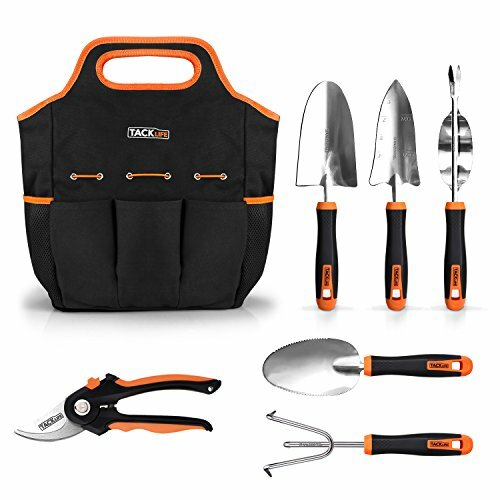 The question remains do you need it for casual maintenance, with several trees, or you have a huge garden, and pruning is done more often. From time to time, more versatility is required from loppers. This is the main feature of this model. Regarding material, the SL 4364 isn’t falling behind the winner. The blades are made of heat-tempered steel which can be sharpened again if there is a need. Of course, the 4-bar system is making cutting very easy. As for the handles, they are made of steel, with a distinctive shape which gives superb control and stability. Speaking of handles, they can be extended from 27 1/2" to 37 1/2" which is that versatility I was talking about. 37” is an impressive length so that the ladder won’t be needed probably. Corona made their ComfortGEL system which reduces fatigue. Also, blisters are impossible to happen, since they are very comfortable. Maintenance can be a bit troublesome since there are more parts to clean, but nothing drastic. This is why the price surprised me. I thought that it would be much higher since there are not too many extendable loppers on the market today. When everything is taken into consideration, it is clear why ML TOOLS L8229 is the winner. It beat its competition regarding usability, reliability, and ratio of price and quality. The best of the best loppers is, therefore, by the winner, since it has the best possible features. In any case, if you have any questions regarding this list, or any advice and tip, feel free to use the comment section below.